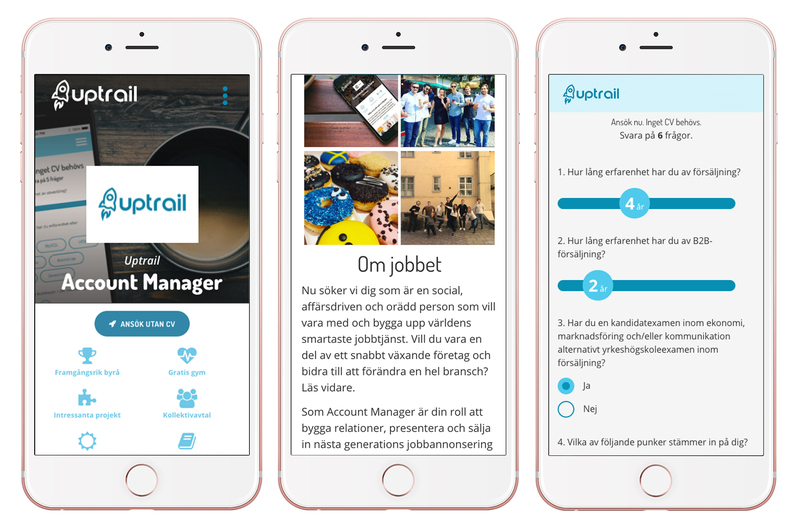 Uptrail was founded as a reaction to the difficulties and frustrations related to applying for jobs digitally. 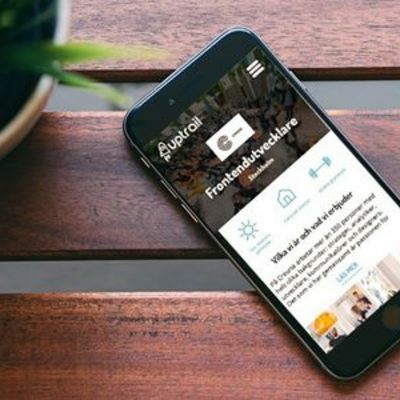 With the ambition to enable people to apply for jobs from their mobile device in less than 30 seconds, without a CV or personal letter, Uptrail was founded in the summer of 2014. 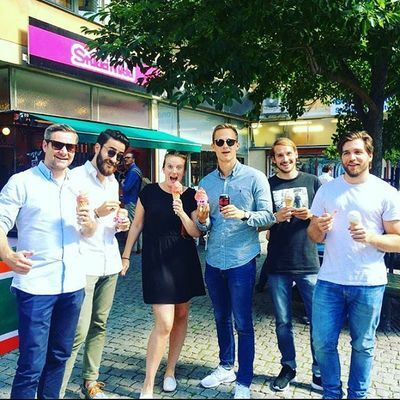 Since then Uptrail has become one of the fastest growing job portals in Sweden. Uptrail was founded on the basic idea that you should be able to apply for a job from anywhere, in a quick, simple, and fun way. We want to lower the barriers between you and employers by providing an application platform that suits your daily routines and digital lifestyle, on your mobile device or computer. Apply without a CV by answering key questions related to the specific position. Your answers are sent directly to the recruiting firm. To show off more about yourself and your experiences you can link your LinkedIn account to your Uptrail profile. Uptrail is developed with our digital society in mind. As such, you can apply for a job, using your mobile phone, tablet, or computer, when it suits you. Perhaps while waiting for the bus or when you can’t skip a YouTube commercial. Get the latest updates related to vacancies that fit your profile directly in your inbox through Uptrail Follow. You decide if you want daily or weekly updates. Do you join us in disrupting an industry? We are growing rapidly and need more colleagues who want to drive change and create new ways of connecting candidates with companies. Check out our vacancies here or contact us on hello@uptrail.com and tell us about you. Do you want to recruit using modern and effective methods? Join more than 1500+ brands in finding new personnel without reading a CV!